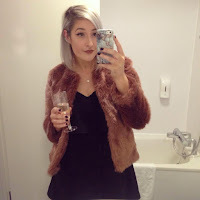 Floral Danielle: Bloglovin and my first ever roast dinner. Just a few things really, I've just signed up to Bloglovin today, so if you wanna follow me on that my profile is here. I don't really understand it right now but I'm sure I'll figure it out! Anyone care to explain it to me a little? And let me know if you follow on Bloglovin! aww thank you for nominating me!! And yes do it! Get a friend to help!